The best sporting competition in the world is back! The UEFA Champions League group stages have finished and we now move on to the elimination rounds. The 16 best club football teams in the world will duke it out for the right to lift the Champions League trophy and accumulate millions of dollars in revenue along the way. The value in winning a round of the Champions League to a team like Ajax or FC Porto is immeasurable, but most of the teams left in the UCL are the best of the best. That does make our task of finding under-the-radar plays a bit more difficult ... but even more important. There are only 16 teams playing instead of 32 and the pool is mostly filled with the biggest teams in Europe (and this upcoming slate in our ESPN Fantasy game spans all eight games from February 12th to February 20th). As always, we will go through each tier and highlight a few of the less popular options that can have an impact on generating a winning score. In a tier full of players among the 20 best in the world, it is hard to pinpoint who might be fully under the radar. However, after Lionel Messi away to Lyon and Mohamed Salah at home to Bayern Munich, I don't see a great difference in projection among the remaining strikers. Sergio Aguero is fresh off of a hat trick against Chelsea in which he also missed an absolute sitter for a fourth goal. Aguero is my favorite selection as Manchester City drew Schalke, who are likely the second or third worst team left in this competition. As weird as it is to say, Cristiano Ronaldo is likely under the radar on the road against Atletico Madrid. Atleti have a reputation as the best defense in the world and have allowed only 17 goals in La Liga this season but ... he is still Cristiano Ronaldo. This is the Ronaldo who scored a hat trick on three shots against Spain in the World Cup and can make magic out of nothing. This will likely be the lowest pick rate that Ronaldo will have in any matchweek this season. This is a much larger and more interesting group than the Tier 1 forwards. Antoine Griezmann and Karim Benzema seem like they will likely be the most popular of this group. Both carry significant name cache and Benz has the best matchup of anyone in this group as Real Madrid travel to play Ajax. I am particularly interested in Edin Dzeko playing at home vs. Porto. An important note about the first leg of Champions League knockout stage games is that both teams generally play very cautious and goal scoring chances are at a premium. However, I expect Roma to really go for it at home against Porto and attempt to get a two-goal lead heading into the second leg in Portugal. Dzeko has 10 goals in 19 starts for Roma this season including five in four UCL games and is averaging over 4 shots per game. He would also be a sneaky selection for a captain spot in this massive eight-game slate. This is where things start to get interesting. I am unsure if there is even one clear option in this group of players. Christian Eriksen is playing at home to a defensively leaky Borussia Dortmund side but will be without Harry Kane to finish his exquisite passes, though Son Heung-Min is a capable replacement. Kevin De Bruyne is unlikely to play the entire 90 minutes against Schalke but is the primary creator and set piece taker while he is on the field for Manchester City. Gareth Bale may not even start on the road against Ajax, ceding his starting role to Vinicius Junior, but of course if he does start he provides the best goal scoring threat of anyone in this group. Manchester City actually have three playable options in this group with KDB, Leroy Sane and Raheem Sterling. If my team was in a chasing position, I think that using Sterling and hoping for 90 minutes with two goals is not a bad idea. This group of players is really contingent upon what you are looking for. There are players like Raphael Guerreiro or James Rodriguez who do not have great goal-scoring odds but are primary creators for their teams and will pick up points for tackles won, chances created and other peripheral statistics. Then we have Marco Reus who is looking like the best player in the Bundesliga or his opponent this week Son Heung-Min playing striker for Tottenham Hotspur. Paul Pogba has seen a wild boost in his form under Ole Gunnar Solskjaer and is my pick for Tier 2 midfielder. Pogba is now up to 10 goals and 6 assists in his 10 games under Solskjaer and draws a very good matchup against a Neymar-less Paris Saint-Germain team. In fact, Pogba is in such good form that I think he makes a reasonable captain selection. There is no shortage of options in Tier 3, with over 10 playable selections in this group. James Milner might be deployed in midfielder or at right back against Bayern Munich. Bayern actually use slower wing players when Kingsley Coman is not on the field, so I don't think Milner is that big of a liability at right back against them. If Milner does start, he is likely to accumulate defensive stats, take a majority of set pieces and could even take a penalty kick if Salah is feeling gracious. Julian Draxler is projected to start in Neymar's left attacking midfielder/free-roam role with Kylian Mbappe and Angel Di Maria flanking him on either side. Being in that role itself is valuable and worthy of consideration. Tanguy Ndombele has a difficult matchup, welcoming Barcelona to Lyon, but he doesn't generate his points through offensive involvement. He is the midfield hub for Lyon, distributing the ball and winning tackles and could easily get to 10 fantasy points in this matchup. With no clear cut answer at Tier 1 defender, who you select here should be a matter of analyzing where you are placed in the standings and what you want out this lineup spot. Joshua Kimmich is likely to get you a minimum of eight fantasy points with a combination of offensive and defensive peripheral stats. Sergio Ramos and Kieran Trippier offer more offensive upside as Ramos is generally the target for Real Madrid's set pieces and takes penalty kicks while when Trippier starts, his passing is a key part of Tottenham's offense. Spurs need a win in this first leg against Dortmund to protect against getting blown away in the away leg in Dortmund so I expect a lot of Tripper offensive involvement making him the best selection for this group. There are three very attacking full backs in this group who are worthy of consideration. Aleksandar Kolarov takes free kicks for Roma as well as some of the penalty kicks and should be in consideration to start against Porto. I've already mentioned that I expect Roma to be on the front foot and that applies to Kolarov. Ashley Young has been taking the corner kicks for Manchester United under Solskjaer and think he will retain that role against PSG. His defensive contributions in terms of stats are fairly lackluster, however. Alex Telles is normally an option for us here, but I view it as fairly unlikely that Porto really spend much of this game attacking Roma's defense and will prefer to attempt their shots on the counter attack. Mats Hummels and David Alaba for Bayern Munich both chip in with solid amounts of defensive stats (both average more than 10 ESPN fantasy points per game) and have a good matchup for accumulating those stats as well as some offensive upside against Liverpool at home. Alaba, in particular, is pretty far off the radar in this slate and is solidly in play as a contrarian selection. 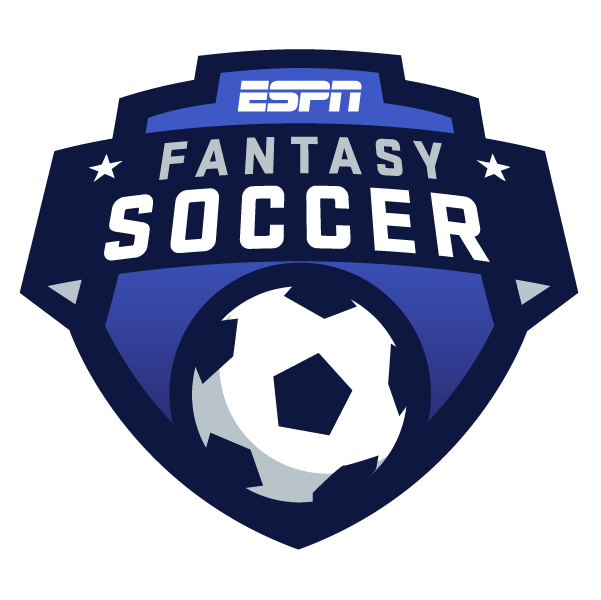 The scoring for the official ESPN Fantasy game is among the most unique in fantasy soccer. Big favorites and massive underdogs can both post respectable fantasy scores if you project out the games properly. Anthony Lopes should face plenty of shots and crosses against Barcelona and probably has the highest chance of a score getting into the 20s. Thibaut Courtois against Ajax has some of the highest win and clean sheet odds of any goalkeeper on this slate and would be my choice if I had a team that was at the top of my league (spoiler alert: I do have a team in said position and I am taking Thibaut). David De Gea at home to the Neymar-less PSG is another solid option to both face shots and secure a win and Robin Olsen for Roma finds himself in the same position.